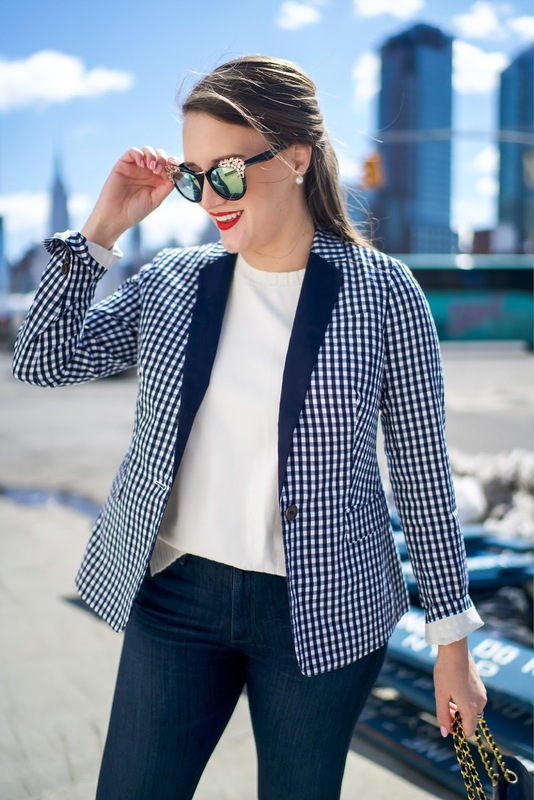 I told myself I don't really need another blazer, and definitely not another gingham blazer. But here we are. It was 30% off the other day and I had to at least try it on for size. That's the problem with trying things on ... you end up keeping them! Even though I didn't mean to end up here, I'm glad I did. 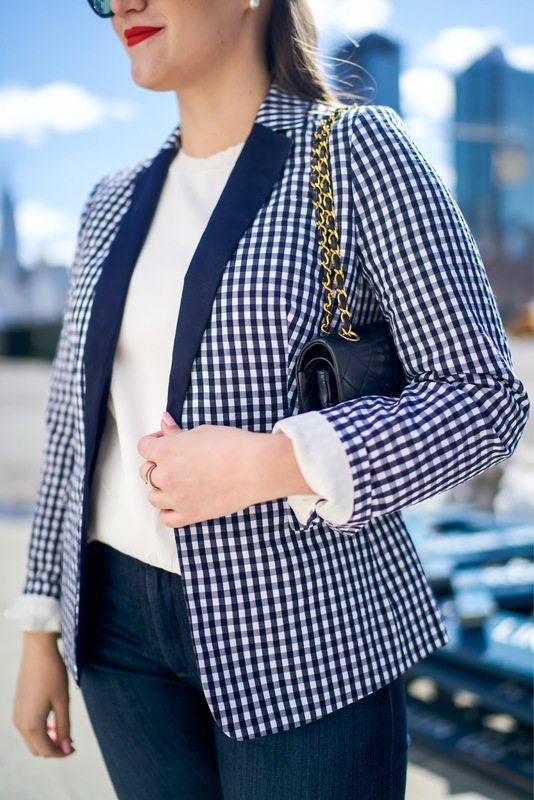 I love this blazer and I'm definitely going to keep it. I have last season's royal blue J. Crew blazer that I wear all the time. This will just fall into that rotation! The navy lapel really gets me going. Of course this look is my normal #navyornothing, but that is what you should come to expect here on Covering the Bases. I was just happy that while it was a tad windy during this shoot, the weather was decently warm in the sun. Not warm warm by any means, but definitely not 11-degrees cold. Also, happy first day of Spring!